After this rainy Sunday (actually the whole weekend was full of water here in Paris) I spent under the rain to attend La Parisienne, a 6,7km race. Now I really want sun, beach, sand and sea, but I have to accept that the holidays are over. So here is another post about my summer 2015 holidays in Italy. 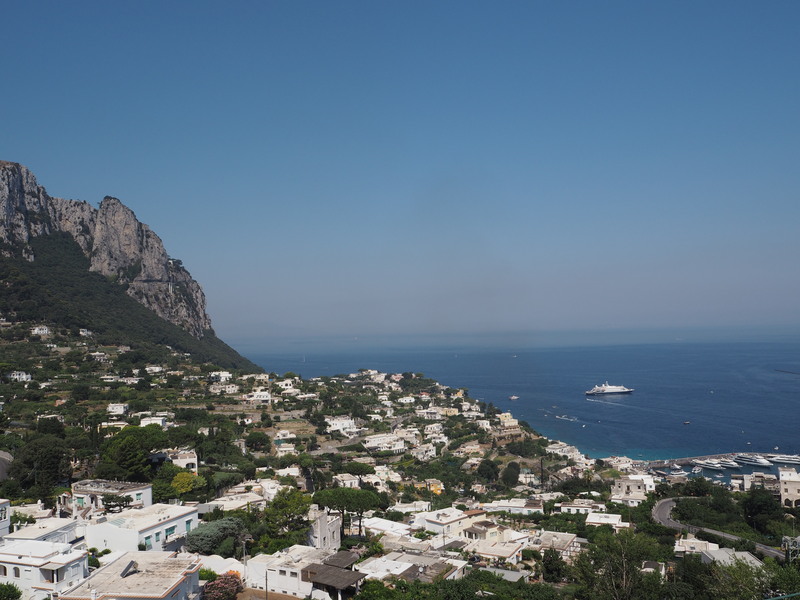 I decided to share some advice about spending a day in Capri. I have already spoken about The Augustus gardens, one of the must-see places in Capri. But here now some other idea about what to do if you have a day in this island, very appreciated by the stars. 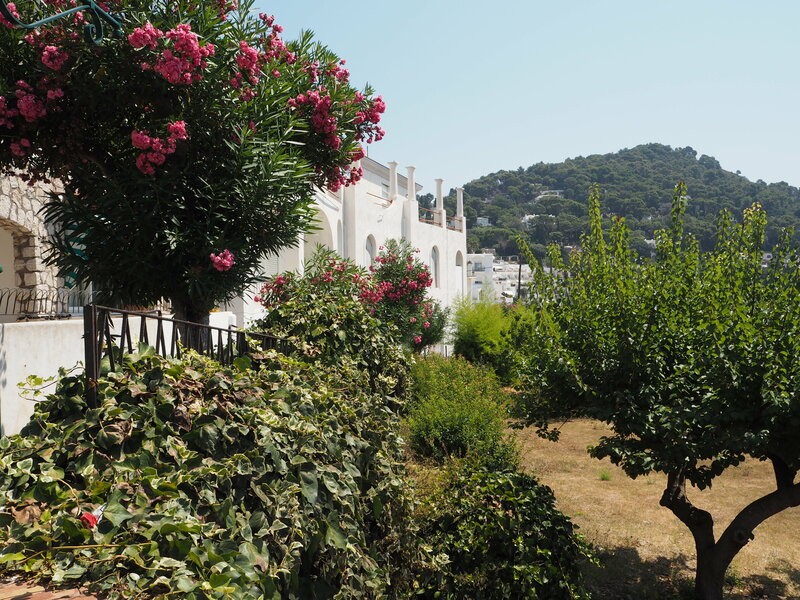 We have spent a day in the Eastern part of the Island, known as Capri and the western part is named Anacapri. 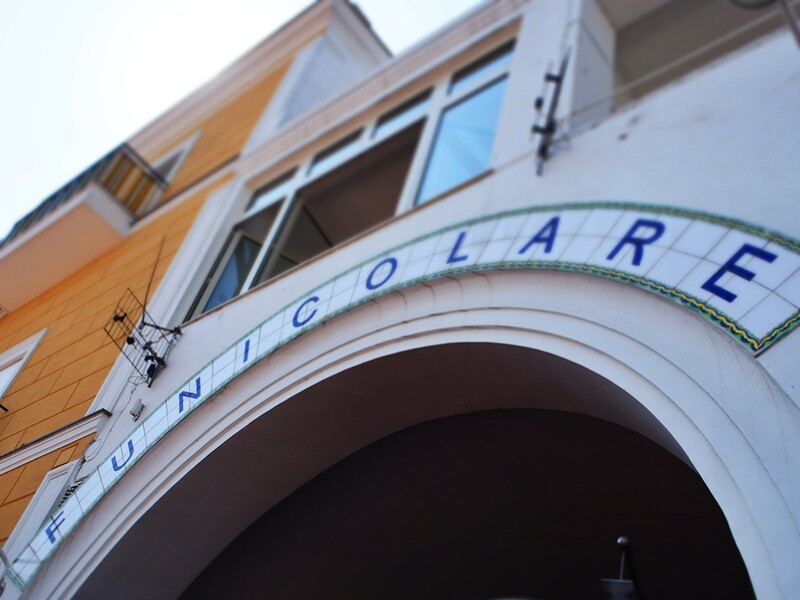 Once arrived on the Island with the ferry, you should take the funicular to reach the center of Capri. Once there, a multitude of chic boutiques is in front of you, for instance, Prada. 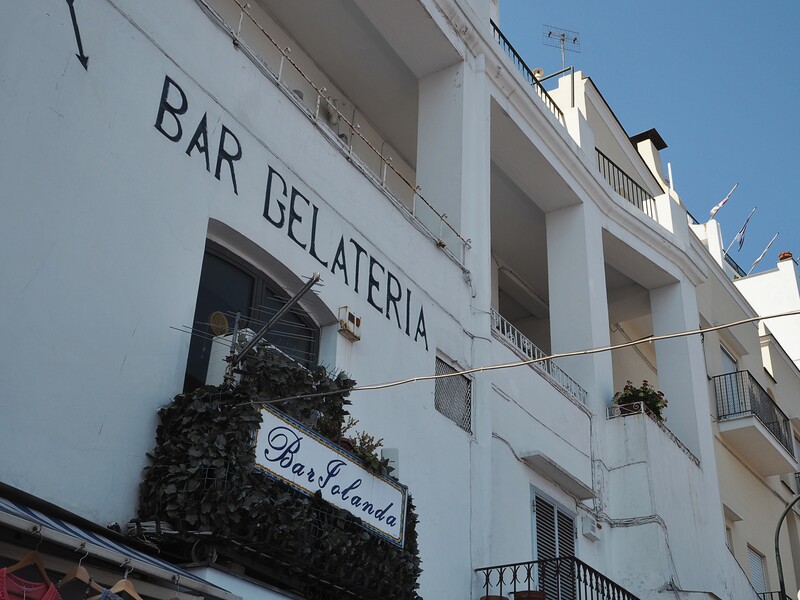 Before starting exploring this part of the Island, tasting of a lemon granita is always a good idea. 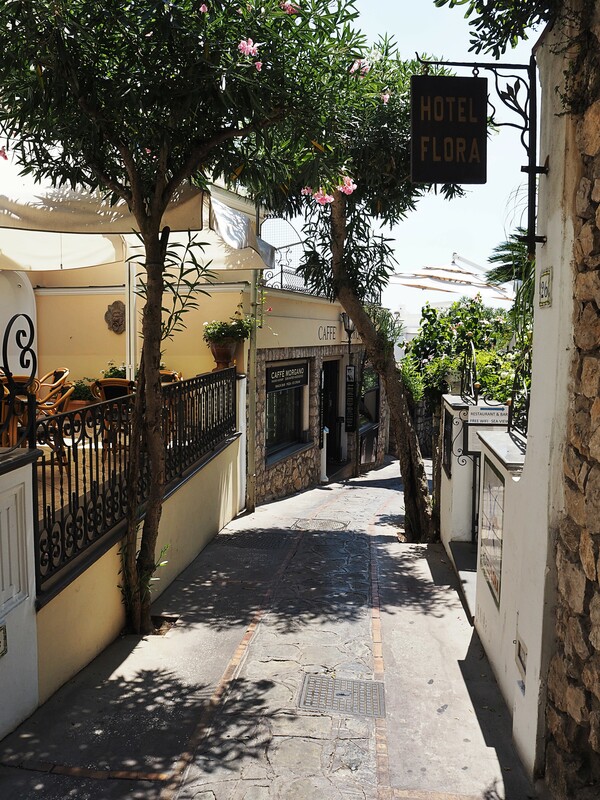 In the streets, you have everywhere boutiques with brand clothes, accessories, such as Céline, Chanel, Miu Miu. It is quickly time for the lunch break. 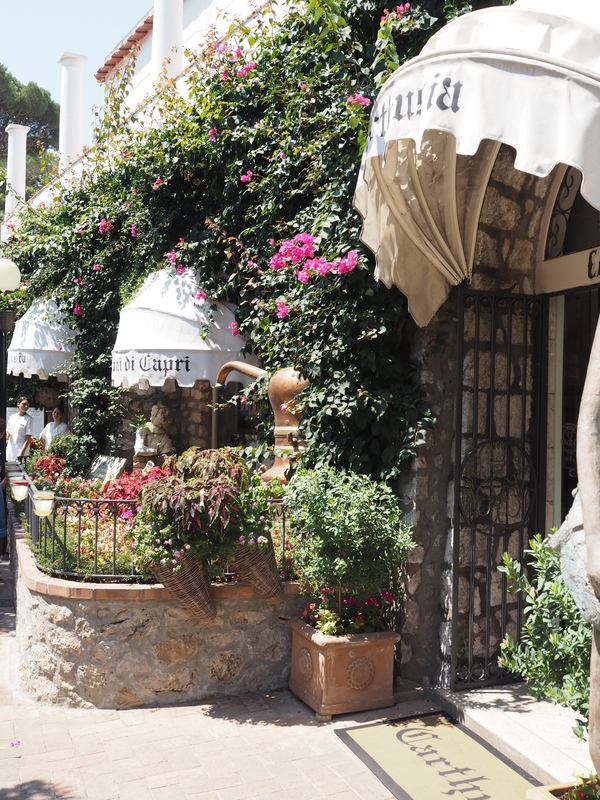 Cozy restaurants are everywhere and also in the famous Piazzetta square. The day continues with a tour in the Augustus garden I have already spoken about. If you need some rest, you can have a sunbath on the Marina Piccola beach, accessible by bus. This is a real experience, something like 10 minutes to go the beach, in a small local bus, struggling to get through the narrow streets. Love these photos so much. Capri looks absolutely stunning and I love the white dress you wore as well. We are quite lucky here in Berlin today as the sun is shining. It is a bit crisper in the air, but I am loving the opportunity to wear layers again. Hope the rain stops for you soon! Hope you had fun at the race too. Did you run or where you there to watch? Wow looking stunning and hot! Amazing pics!